Math puzzle worksheets that require students to fill in missing numbers with values up Small Numbers. Simple math problem practice is great when you're learning the basics, but sometimes getting the right conceptual framework for even basic arithmetic requires devling into deeper exercises that show the relationships between numbers. 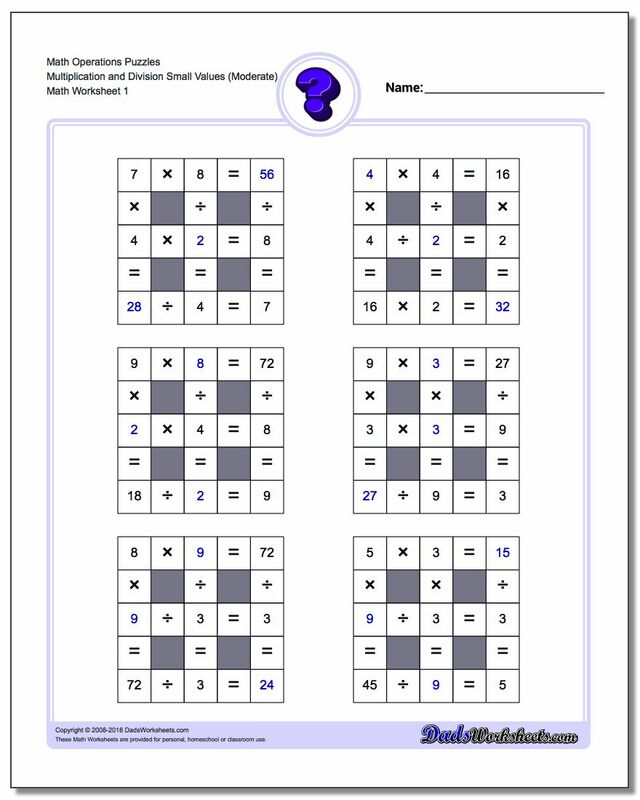 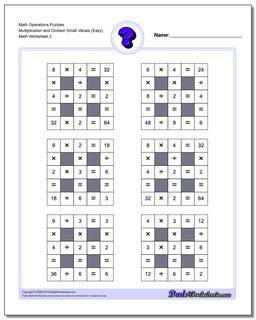 The multiplication and division with missing values (small) logic puzzles on this page are one way to build that kind of skill. There are various logic puzzle variations for different related pairs of operations. These puzzles are part of a family of logic problems that include complementary pairs of operation (addition and subtraction, or multiplication and division). You will also finds worksheets with missing values, missing operations, or combinations of both. The addition and subtraction puzzles are perfect for 2nd and 3rd grade students who are learning fact families, and 4th and 5th grade students who are learning the relationships between multiplication and division will be at home with the more advanced puzzles here.